Salim eulogises over Zinedine Zidane's chef d'oeuvre against Portugal in the Euro 2000 semi-final, a game between two of the finest teams in the first half of the 2000s. There are performances which are enduring in living memory, a constant source of flashbacks in our memory retrieval; so breath-taking that you have to reach for your asthma inhaler, or make you contemplate purchasing one. These aren’t the performances when a player scores a mere hat-trick without having done much else, just simply has a good day on the green office or dismantles workaday opposition. No, this is effortless showmanship and craftsmanship, tour-de-force unstoppability over the course of 90 minutes – or more - against elite opposition which firmly stamps a player as the greatest of a certain era, and even boggles the minds of the naysayers who had the audacity to doubt the said player – rendering them to ascending from their armchairs in bitter applause. 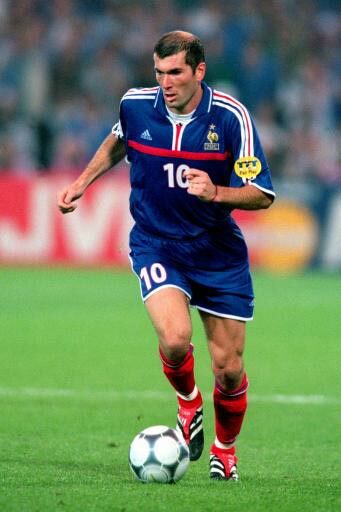 For all the countless matches I have had the pleasure – and displeasure – of viewing during my past-time as a football aficionado, one performance will perpetually be engraved in my memory: Zinedine Zidane’s magnum opus against Portugal in the semi-final of Euro 2000. On that unforgettable night, Zidane turned up as an artist treating the King Baudoin Stadium pitch like a blank canvas whereby he would render a compelling chef d’oeuvre on, a scintillating performance which elevated him to be one of the – if not the – flagbearer for the connection between art and football. All the Zizou hallmarks were in attendance and incontrovertible; the mesmerising, pitter-pattering footwork; the smoothness of movement; the compelling grimaces that would have made a seat-squirming Oscar-winning psychological thriller; the astonishingly lavish roulette which was executed with mechanical ease; the neat, off-the-cuff back-heels inviting the relentless Bixente Lizarazu to raid forward; the ball caressed, not chastised; the non-elaborate, harnessing of his unbounded talent towards an effective Les Bleus end; the staggering, archetypical Zizou big-game sang-froid to dispatch the penalty when nerves were jangling and put the game to bed. What topped it all off, though, was an addition to the repertoire; the audacity of that pioneering, don’t-try-this-at-home chest-control to pluck the ball from the shimmering Brussels sky – and with both of his feet in elevation with a mere two touches, the prestidigitation which will be eternally baffling.